Born Robert E. Grant in Atlantic City, New Jersey. Bob grew up along the coast of New England. After graduating Dover New Hampshire High School, he joined the US Navy, became a naval aviator and spent twenty years serving his country. Bob is an accomplished captain and aviator. 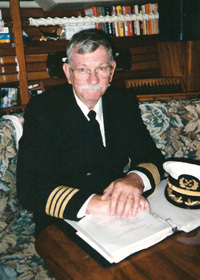 He possesses a wealth of practical experience gained by cruising the oceans of the world. He is an avid “HAM” radio enthusiast, KD4HCR, renowned for his sparkling wit. After more than 30 years of retirement, US Navy Captain Bob Grimes is summoned to Washington DC. Returning to active duty, he is flown to an Air Traffic Control facility on a “Rock” in the middle of the North Atlantic. Orders are to take command and investigate without raising any suspicion about some unusual activity. 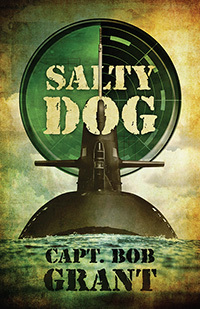 What the Salty Dog finds could affect the entire world.